Tea Garden. Dedicated to herbs that can be used to make an herbal infusion, it’s more correctly called a tisane. Herbal teas are not new, Peter-Rabbitbut have been brewed for thousands of years. Culinary Garden. 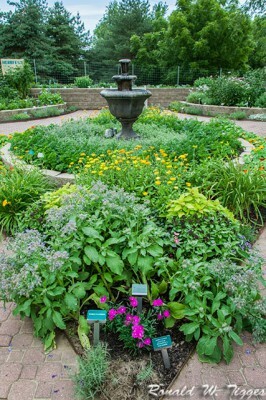 The culinary garden features those herbs which add so much flavor, texture, and color to meals. If you love to cook (or eat), stop by this quadrant for inspiration. Aromatic Garden. In the aromatic — or scented — garden, plants are grown just for their fragrance. While many of them are sweet-scented (such as, lavender, rose, and the scented geraniums) others give off an aroma that is designed to deter. Medicinal Garden. Plants that have been used for thousands of years to treat a variety of diseases are found in the medicinal garden. 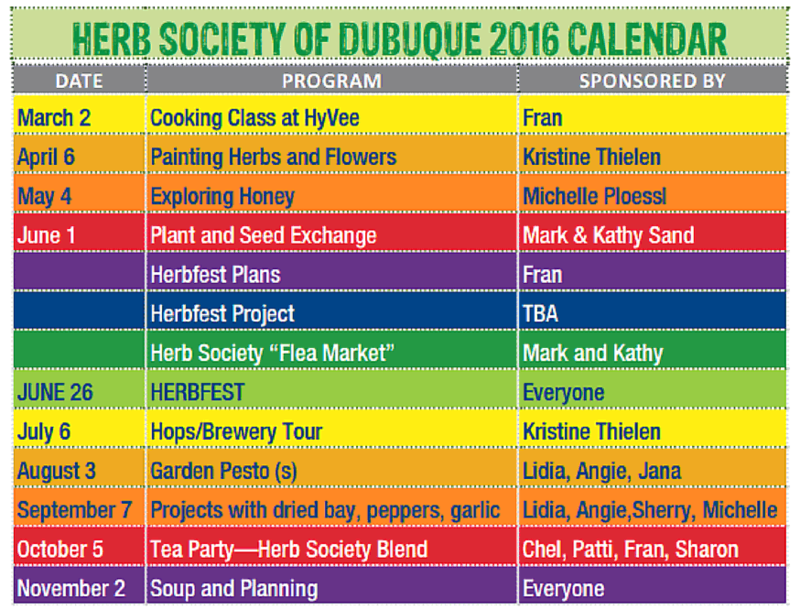 Herb Society meetings are held the first Wednesday of the month at 6:30 p.m.
February and March meeting locations TBA (call 583-4390 for information) April-November meetings are held in the Garden Room at the Dubuque Arboretum and Botanical Gardens. Call Fran Hedeman 583-4390 for information. We are indeed celebrating tarragon and other members of the artemisia family—southern wood, mugwort, and wormwood to name a few. Tarragon is the culinary herb in this family but others are used as natural insect repellents. Learn more about this interesting family of herbs in the winter issue of the Ground Cover. Attend Herbfest 2014 on June 22 to taste and experience artemisia. A visual herb guide, how many do you know? Look for them in this summer’s arboretum herb garden.